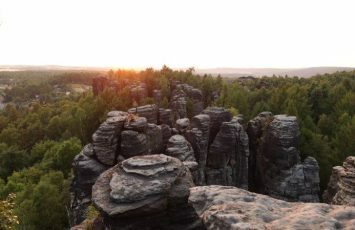 Each country has its own unique footprint in the rock climbing world. No two places are the same. 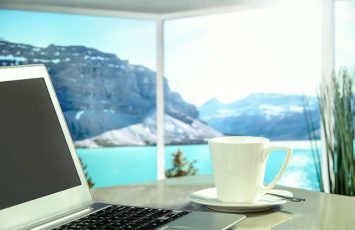 Some are more popular than others, attracting millions of visitors per year, while a few stand by in the wings and await your discovery. In this article, we trek to eastern Europe to learn about the lesser-known country of Montenegro. 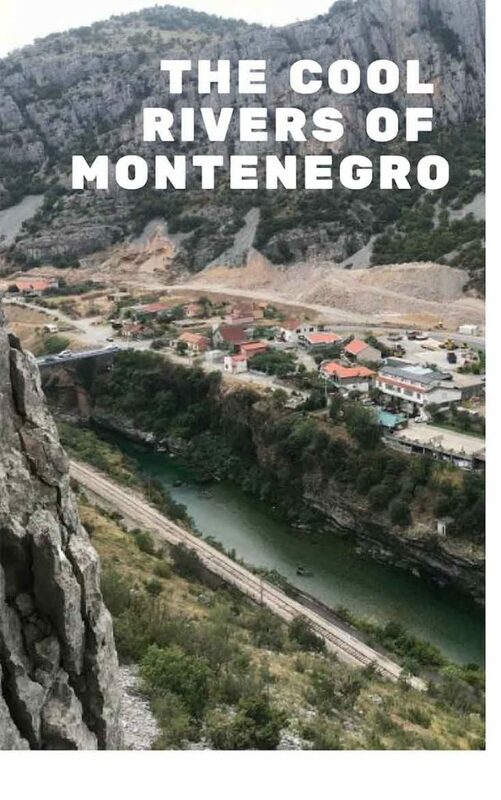 You will learn about the rock climbing available in Montenegro’s capital city Podgorica, and you will come away having acquired new knowledge of Montenegrin cuisine and things to do in the area. Let’s get to it! Beautiful hills and vegetation dominate the landscape of Montenegro. What to do in Podgorica! One more thing: Wine country! What is something memorable about Montenegro that I have missed out on? “Podgorica” means “below Gorica” (which is a hill above the city) and it is the largest city in Montenegro. Furthermore, it is Montenegro’s capital. Much like Kuala Lumpur in Malaysia, Podgorica stands strategically located at the confluence of two rivers. These two bodies of water are the Ribnica and Moraca rivers. Montenegro borders Croatia, Albania, Kosovo, Serbia, as well as Bosnia and Herzegovina. All the Balkan countries! The rivers are cool and clear in the fabulous climate of Montenegro. People of Montenegro and Podgorica date back from the Stone Age all the way until now. Podgorica is entrenched in the writings of history! It became part of the Ottoman Empire in the 1400s; it was occupied by Austria-Hungary for two years from 1916-1918. It survived heavy bombing during World War II, and its name was changed to Titograd for a short period of time. Now, it is the thriving capital of an independent country, Montenegro. In Podgorica, mountains are extremely accessible, which makes it a fabulous climbing city. Museums, cathedrals, and theatres feature ornate decor and charm. 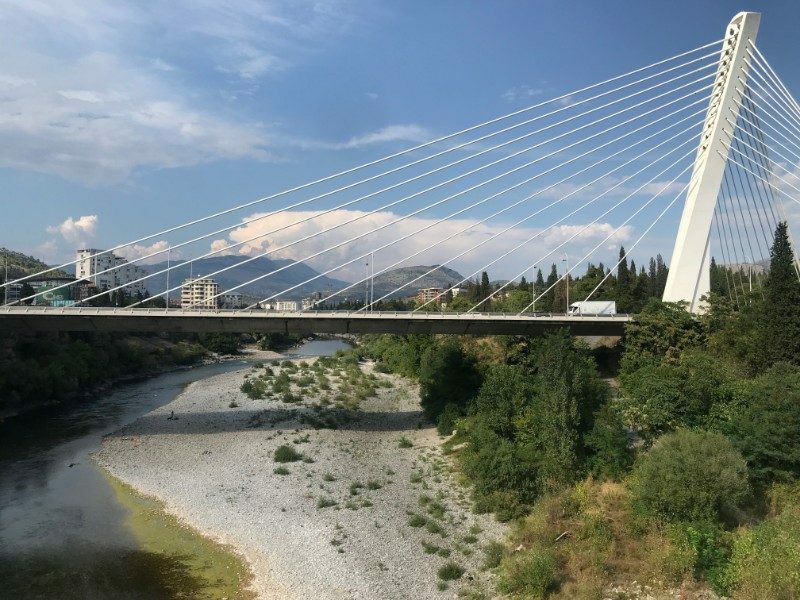 Art galleries, parks, and castles adorn the streets, and for this reason, Podgorica will keep you busy both inside and outside of your climbing expeditions. The climate in Montenegro lends itself easily to outdoor activities such as rock climbing. For example, the season begins in March and climbing is still available until November! The mountains surrounding Podgorica are very easily accessible from the city. On these mountains, the rock climbing pitches are mostly made from naturally-occurring limestone. 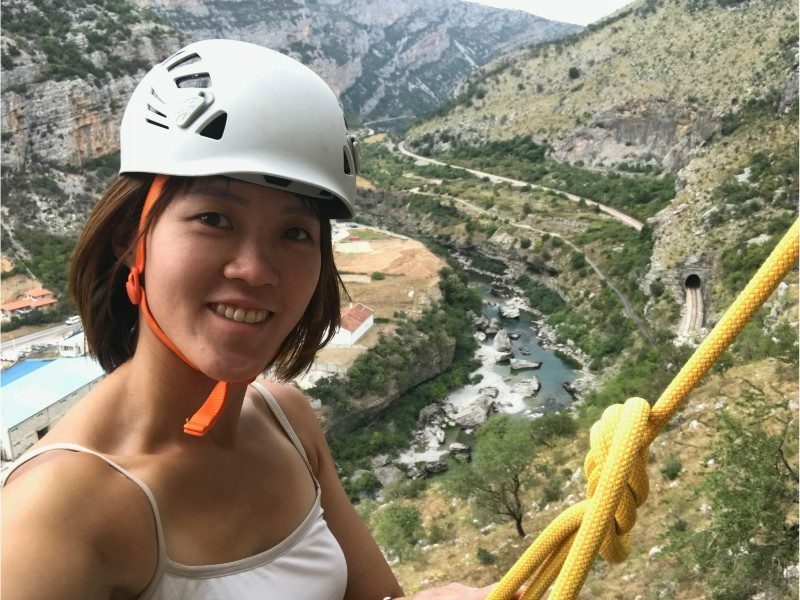 From getting fit all the way to travelling the world, rock climbing can change you. 5km away from the city centre of Podgorica, you will find Smokovac, a suburb which boasts many rock climbing routes. Compared to Yosemite, the rock climbing here features less routes and mostly easy pitches. 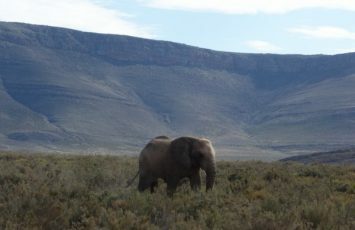 However, the views are still stunning, and you are sure to enjoy yourself! Firstly, Smoki is an area of Smokovac that has 47 routes that scale as high as 37 meters. Getting there is accessible by the road Podgorica-Kolašin. Smoki is split into 5 sectors. Please note that crags are located on private property; because of this, please be respectful, clean up after yourself, and if you want to drill into the rock, contact your local travel guide. Rock climbing requires skill and it is incredibly fun and rewarding! Iznad pumpe and Rock Kula are two more areas for rock climbing in the Smokovac region. Local climbers have begun planting routes on the Iznad pumpe site for two reasons. 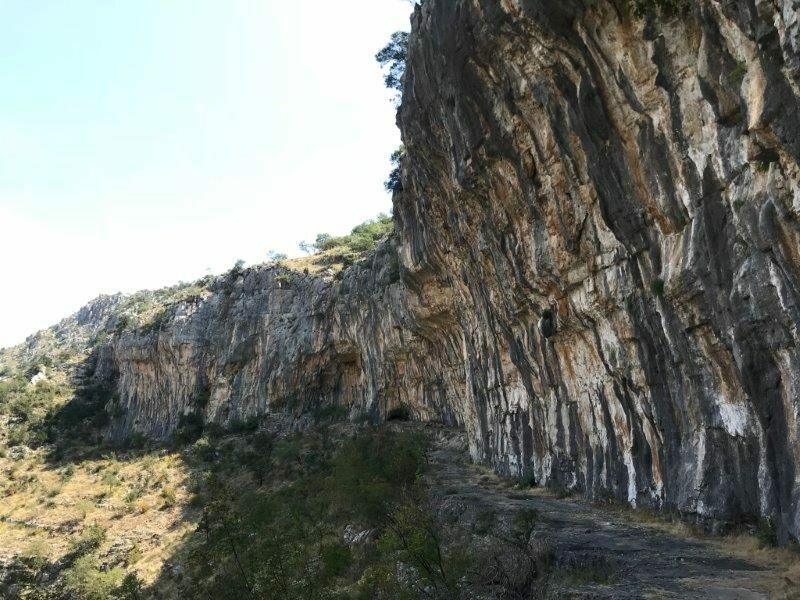 Firstly, because the routes are geared towards beginners, and secondly, because the rock faces the southeast and provides heat during the winter months! On your way to Smoki, Iznad pumpe is 5 minutes from the petrol station. Rock Kula is the tallest route in Smokovac and it is located nearby Iznad pumpe and Smoki. There is one route, named Ivanja, and it is a whopping 120m tall! But the views are incredible and really take your breath away. 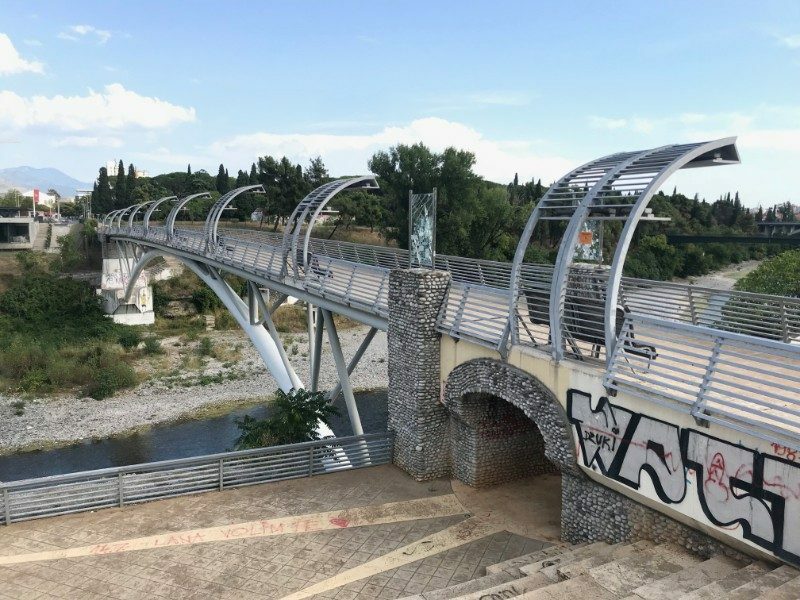 After you’ve washed the chalk off your hands and after you’ve set aside your climbing shoes in favor of sneakers, Podgorica is a quaint and beautiful part of the world just waiting to impress you with its charm. 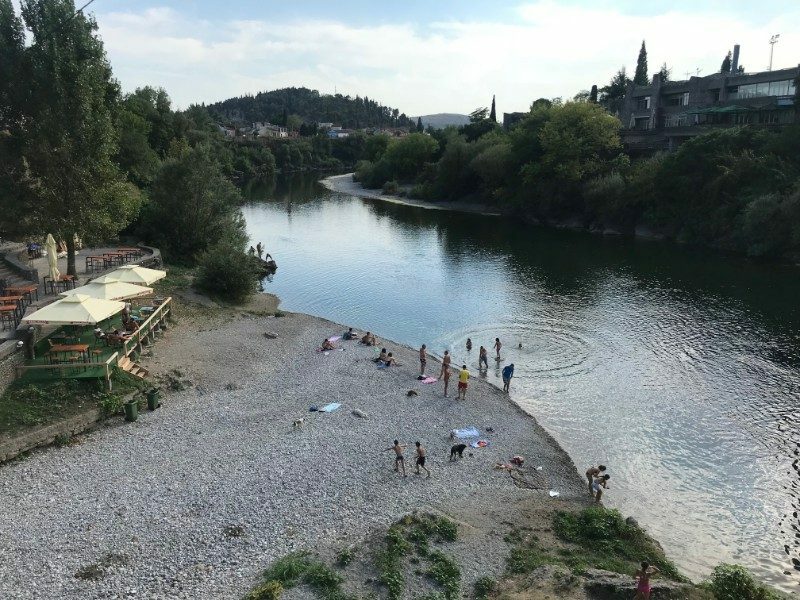 The Moraca River runs through Podgorica, and during the hot summer months, you can swim! To get there, travel beneath the King’s Park Garden, which features a regal statue of King Nikola 1, and you will find a river beach. You will likely spot other happy swimmers excited to relax by the water and bask in the cool depths. 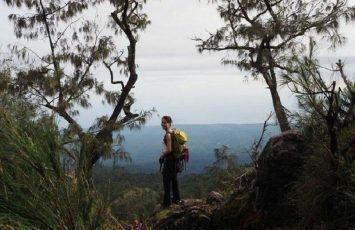 I enjoyed this part of the journey and it gave me a chance to enjoy the scenery and meet other people. You will make new friends at the beach and find easy access to the river, which is a treat when it’s hot outside. 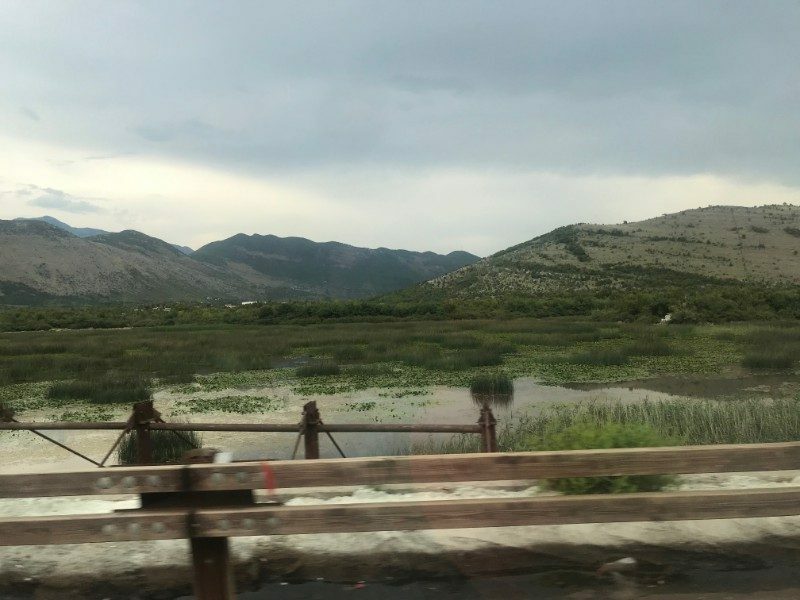 Not only is the Moraca River great for swimming and for walking along, but it also feeds into Lake Skadar. Marvel in the glory of this large, clear lake and notice the silence of nature surrounding you. Tranquil and friendly boat tours await. Water lilies and river bends sit beside a landscape strewn with flora and fauna. Trees and forests sprout from surrounding mountains. The climate in Podgorica is mild and gentle, which makes for perfect outdoor weather. The Millennium Bridge, located near the center of Podgorica, features modern architecture and extends 173 meters, or 568 feet in length. 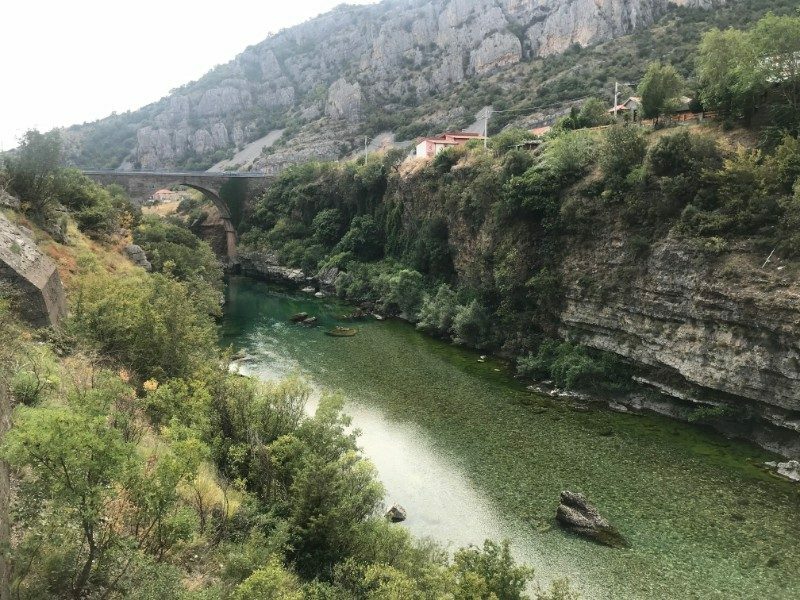 Standing on the bridge, you will enjoy a great vantage point from which to see the clear waters of the Moraca River. Furthermore, when you work up your hunger, Montenegrin dishes await your curious palate! For example, Popeci transcends generations as a traditional meal of deep-fried pork fillets. Also, try Montenegrin carp, which is marinated in oil and often cooked with vegetables. The Millennium Bridge’s suspension cables hold the bridge taut. Their modern style stands out nicely against the green backdrop. 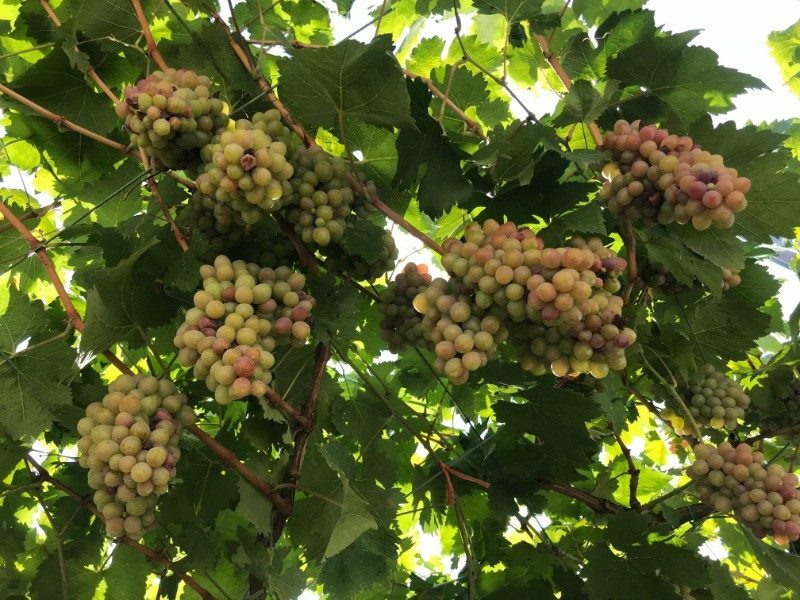 Wine grapes thrive in the country of Montenegro due to its geographical location. Grape varieties like Krstač, Cabernet Sauvignon, Chardonnay and Vranac are popular. 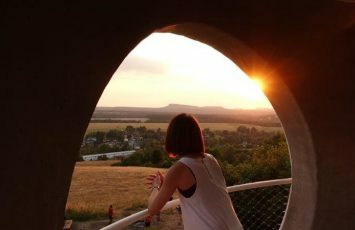 Cellar and vineyard tours to places such as the Šipčanik Wine Cellar are sure to take you away. This specific cellar used to be a secret Yugoslavian aircraft hangar! Plantaže owns and operates Šipčanik, and Plantaže is the largest wine company in Montenegro. Wine country means grapes on grapes! Quite a welcoming sight. Other cities in Montenegro with wine offerings include Budva and Kotor, both under 2 hours’ drive away from Podgorica. Check out fabulous travel itinerary tips for Kotor, which sits nestled on the coast of the sea. 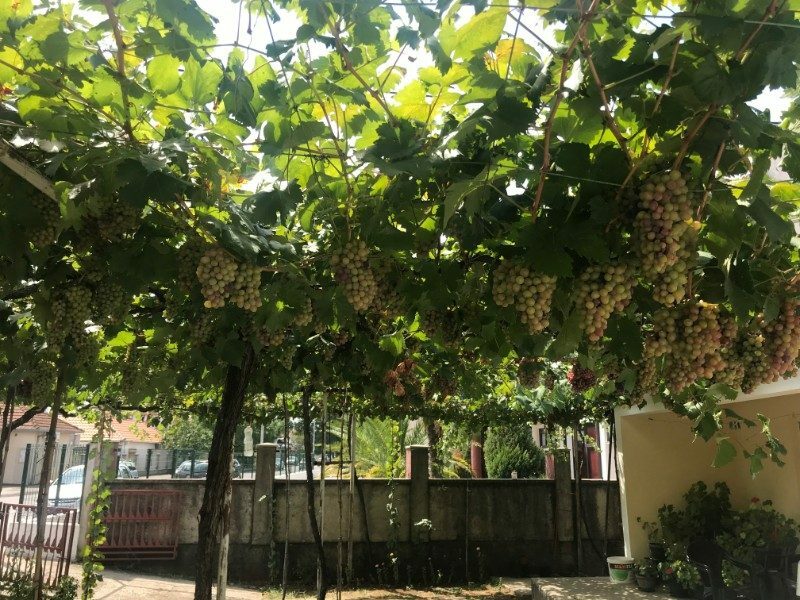 These cities feature wines from more regional grapes such as Krstač and Vranac, as well as more well-known varieties like Chardonnay and Sauvignon. Afterwards, when you’ve enjoyed your grape potions, visit the wall of the Old town of Budva, bask in the glory of the calm Adriatic sea, or hike Mt. Lovćen! 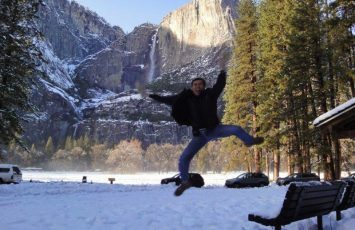 In addition, have a look at other fun and exciting things to do in Montenegro and the surrounding area. Montenegro’s weather will leave you feeling refreshed and grateful. The limestone rock is both challenging and very accessible to climbers of all skill types. This glorious gem in eastern Europe hides many secrets from the public eye. 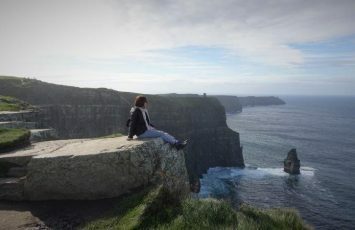 Whether it be the history, the scenes, or the topography, you will latch on to something and love it while you are here. 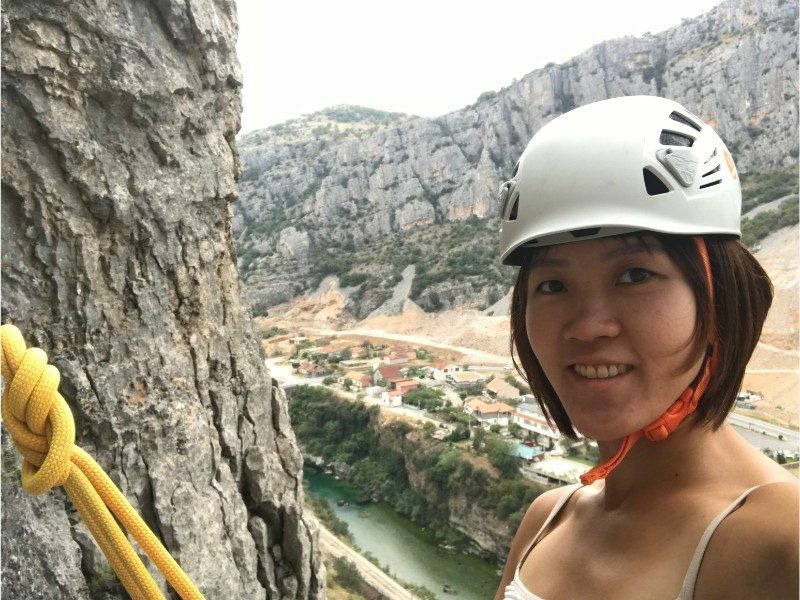 Bridges, climate, food, and climbing. What’s not to love? 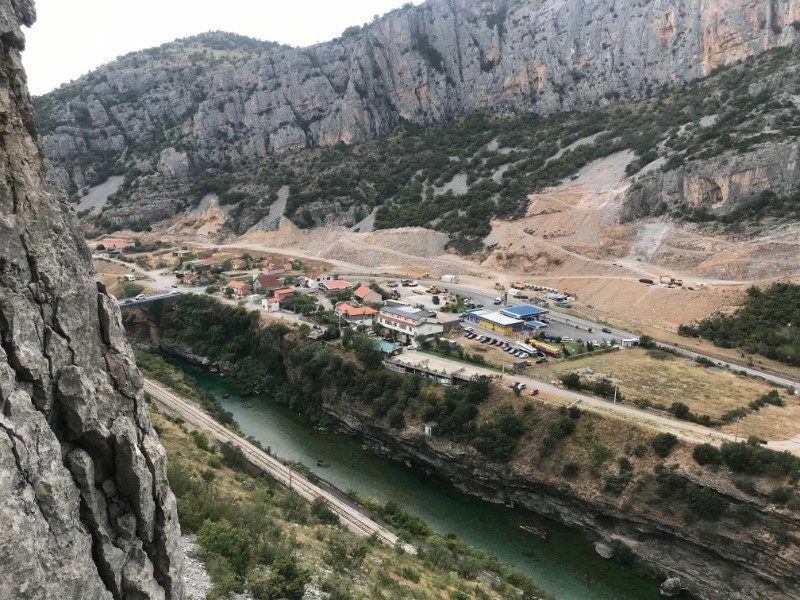 Soak up the sun from Smoki’s cliffs or Rock Kula’s 120m route near Podgorica, or lie back next to the Moraca River and remember this moment for your memoir. It is all yours for the taking! Hey Lydia! Nice post! Will be there in a week and will probably do some climbing! Thanks Ramon! Look forward to hearing how much you enjoy Montenegro! !